The uniqueness of modern surface innovation. Our state of the art manufacturing process ensures accurate panel-to-panel alignment and superior joint stability. Our panel does not contain any plastics, VOC's (volatile organic compounds), and urea-formaldehyde so customers can breath easy. PANEL SIZE: 19.68" x 19.68" x 0.04" max. Coverage Area: 32 .29 square feet. MATERIAL: Eco-Friendly Pretreated High grade Polymer. 1. Suitable for Interior and exterior use and around Fireplace. 3. Surface is rock hard. 5. Superior High impact resistance up to 10 times more impact-resistant than plastic. 9. Excellent flame and fire retardant properties. 10. Perfect application around fireplace. 11. Excellent water- repellant, waterproof, moisture proof. 12. Anti-fungal, Anti-bacteria and resistance to water. 14. No mutation to heat, cold, freeze and defrost. 17. Easy and simple installation with uniform edges. 20. Save on labor cost. 30. Excellent fine and smooth surface. 43. mould and pest resistant. Panels can be cut with plastic-cutting blade. Fire-resistance : Our panels are non-combustible and can be used around fire place. High Flexibility: Our panels can be molded to any shape, pattern and size for requirements for the wall, door,ceiling or any surface . Our surface 3d panels are easily bent into arches, will not crack or split when cut, sawn or drilled.Alternately, customers can use silicone glue to affix them on the wall. It can be glued, drilled and screwed to an existing wall or frame, all kinds of environmental-friendly glue paste on the wall or roof, pillars. Our panels can be installed temporarily with double-side tape or permanently with wallpaper paste. High Strength and Durability : Our panels are rock-like hard and impact-resistant. Acoustic and Sound Insulation: Our panels have no porous structure and sculptural surface, which can defuse the reverberation for the better acoustic effect. Besides, the 3d effect will also achieve a higher acoustic performance. Thermal Performance: Our panels will not warp or distort with the changing temperature. Moisture-resistance: our High polymer 3d panels will not deteriorate in the damp or humid areas. No asbestos or inorganic fibers are in use. All our panels can be recycled. 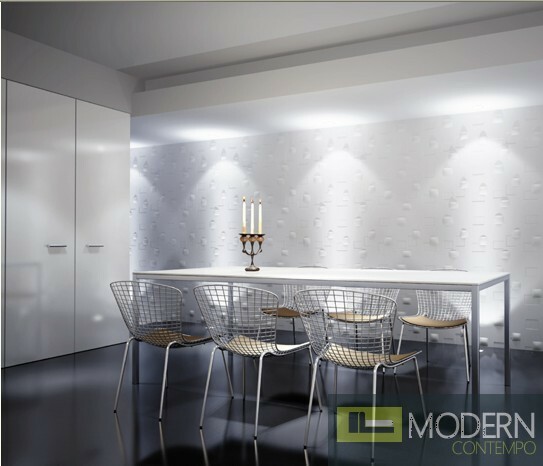 The raw panels are off white or shinny white for polymer 3d wall panels, and they can be sealed, primed and painted by any color as you designing. Texturedsurface panels are great solutions to ugly, stubborn problematic wall, door or any surface that needs covering. Our panels are also applicable if our customers simply want to add texture and shape to a room or a surface. 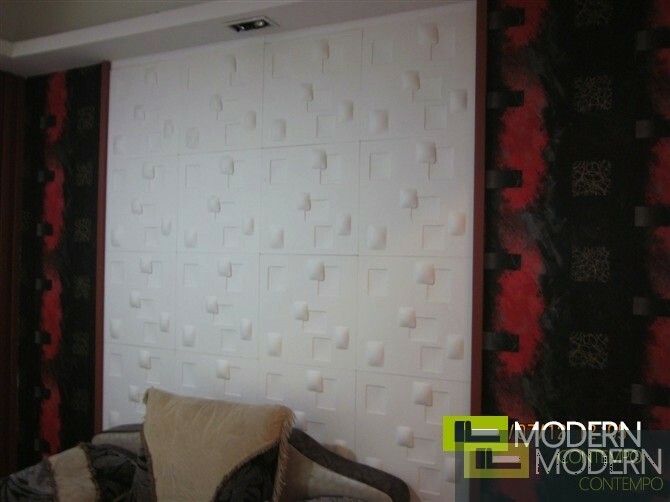 3D panel, often described as 3D wallpaper, once installed, can be left as is or can be painted. Our panels can be easily removed, which makes them a great solution for renters, via temporarily installation with double-sided tape or permanent installation with wallpaper paste or glue. Texturedsurface can be used in both commercial and residential interiors or exterior and because of their difference they usual transmit a nice futuristic look. Creative 3d Surface projects: Cabinet surface, door surface, backsplash, headboard, furniture surface cover, fireplace area. Doors, cabinets, dressers, Theatres, Lounge Rooms, Hallways, ceilings, bedrooms chest, bed headboard, vestibule, staircase, exhibition shelf, frame, furniture skin, ceiling wall covering children’s room, study room, and kitchen. Furniture: door, bedroom wardrobe, kitchen cabinet, Background wall, and other furniture. Commercial Areas: Customer’s wall surface will stand out from the crowd with our high impact exterior and interior 3d wall surface Panel. 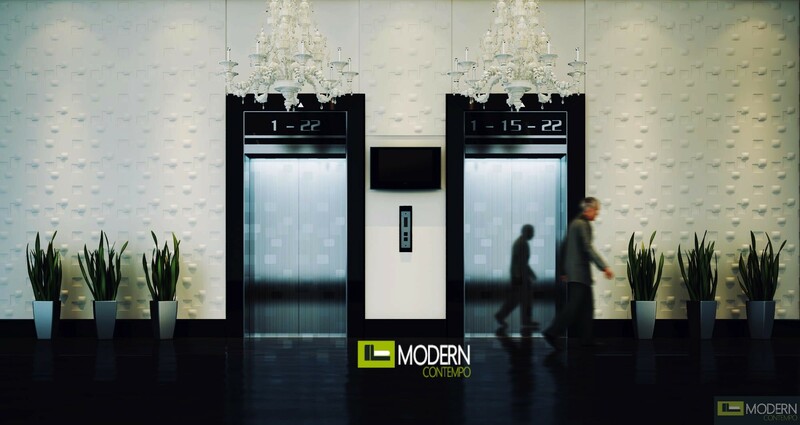 Suitable for, Hotels, Resorts, Restaurants, Cafes, Night Clubs, Offices, Board rooms, Function rooms, reception, Show rooms, Cinemas, Health Clubs/Spas, Theatres, Beauty Salons, Retail Store wall, department stores, shopping malls, exhibition halls conference rooms, school classrooms, clubs wall, hospitals, shops, gym, hair salon, lobby, corridor, entrance, lounges, brand background for retail stores, backdrop, LOGO wall, ceiling, columns, Stations, airports, docks and other waiting room, lounge, VIP room wall, ceiling, bar walls, bar counter, beauty salon, restaurant, cinema, studios, meeting and conference room, trade show walls, dance hall, think bar fronts, island bench and desk fronts, doors and drawers for entertainment units and vanity cabinets, company logo backdrops, bed heads, indoor or alfresco wall art, garden screens, retail Window displays, hotel accents, apartment foyer offices, conference rooms, school classrooms, clubs, restaurants, tearooms, cafes, schools, hospitals, shops, cinema, gym, hair saloon, office lobby, corridor, entrance, ceiling, column, Stations, airports, waiting room, lounge, VIP room wall, ceiling. Think bar fronts, island bench and desk fronts, doors and drawers for entertainment units and vanity cabinets, company logo backdrops, bed headboard, indoor or alfresco wall art, even garden screens, Building decoration for background walls of company image projection, conference room, chain-store, dock, airport, background walls of stadium, movie theater, photo-shooting house, cinema, and Television board-casting studio, theater, concert hall, Expo, church, conference centre, shopping Mall, etc. Administrative space: offices, government agencies, schools hospitals, etc. Public Facilities: Create an inviting atmosphere that draws people in for Airline lounges, Hospitals lounges, VIP Lounges, Public space decoration for the walls of VIP Room of stations, government office building, etc. Clean the surface you are installing the panels on. Apply glue on wall and panels (contact cement glue is recommended). Adhere to glue manufacturer's application instructions. Stick panels on the wall. Use pins or apply pressure on four corners and edges of the panel. Apply primer coat and final coat of paint.